It can take years to feel at home in a new area. At first it’s just a place with unfamiliar streets, restaurants you might like to try, and shops that look interesting from the outside. But over time you see yourself reflected in parts of the city, and begin to block out the rest. Certain patches of sidewalk almost feel like they should be worn down by your foot traffic. But these familiar spots aren’t always your favorites. Sometimes it’s the anomaly — new, foreign, exotic — that attracts, and sometimes it’s the rare treat. 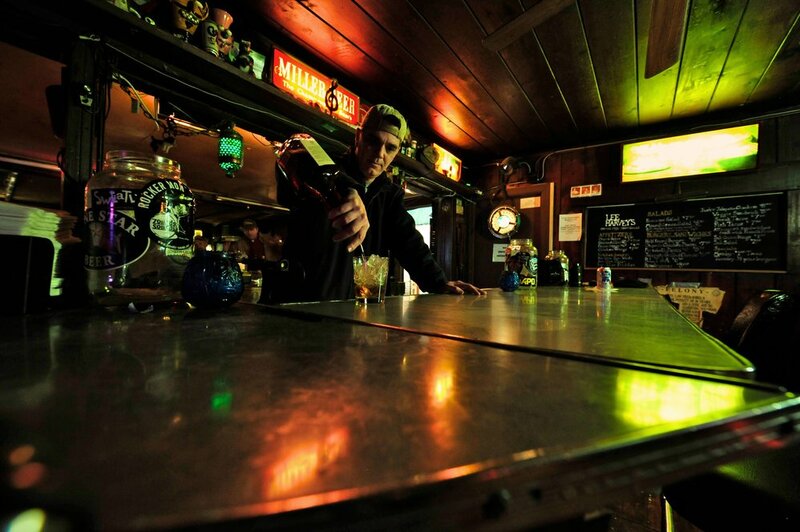 Consider your local treasures while viewing this collection of haunts and hangouts. Estelline, Texas, is one of those towns that you’ll fly right through without noticing if you aren’t paying attention. This little greasy spoon (which has since been rehabbed into a BBQ joint) is one of the last remaining Valentine diners in America. 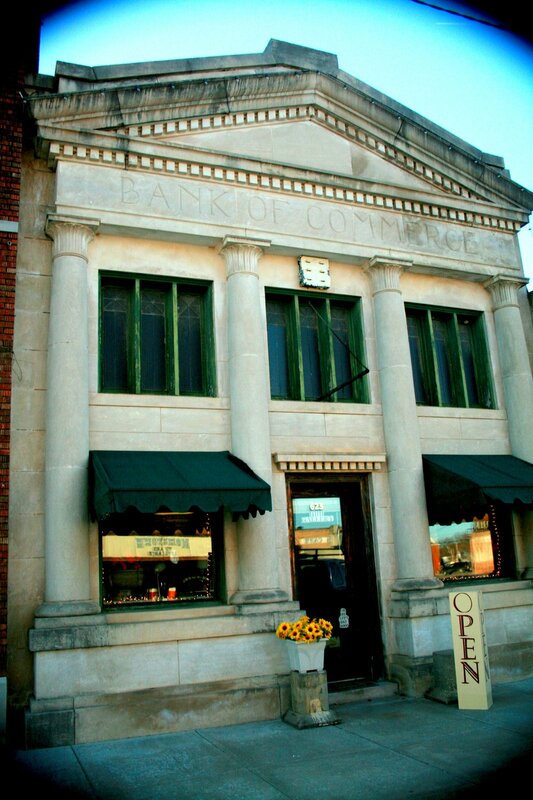 I hope Estelline’s residents know how lucky they are to have one of these historic gems right in their own front yard. I’m a professional photographer residing in Dallas, Texas. I currently shoot a wide variety of subjects including architecture, product, and portrait photography while my fine art portfolio is made up of street portraiture, vintage imagery, and urban and rural decay. 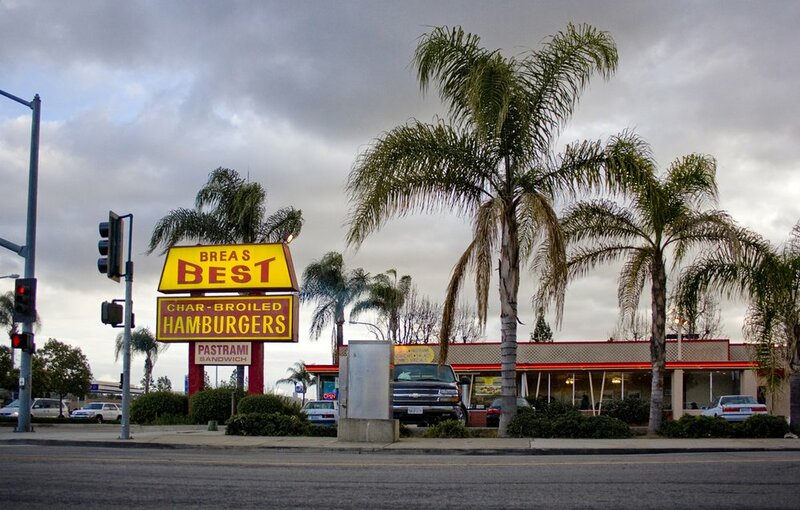 The best spot in my neighborhood is clearly labeled; Brea’s Best has been the highlight of Brea, California, since my childhood friends and I had enough allowance to pay for fries and root beer. During our junior high years we were pulled apart by different cliques, hobbies, and sports teams, but every Friday we were reunited by our appreciation for fries and burgers. Years later we still occasionally round up the old gang for a catch-up/ketchup session. I’m sure the management is happy to see that we’ve grown out of throwing fries at each other. Laurel Kate is a freelancer in Brea, CA. She really loves fries. 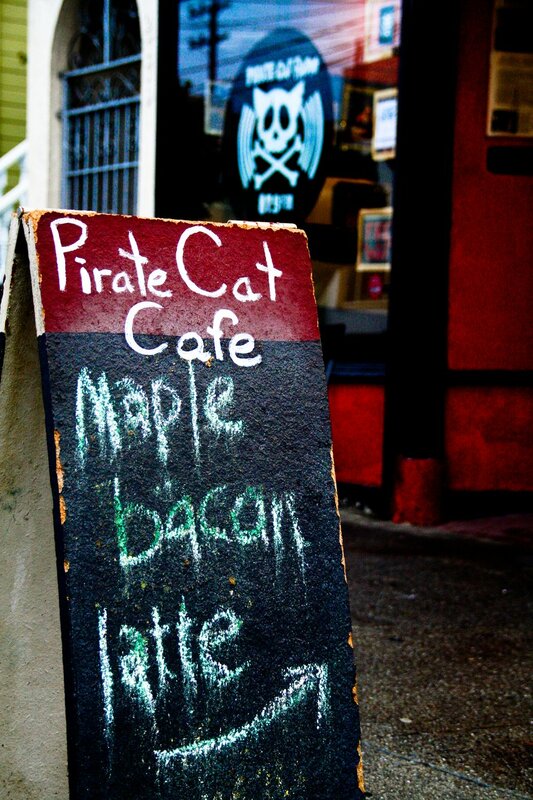 Pirate Cat Radio broadcasts out of this tiny studio and (mostly) vegan coffeeshop in the east Mission neighborhood of San Francisco. Very recently they lost their license to air on the local dial and were forced to recede to an online-only format. Hopefully soon they’ll be back on the radio, but until then I’ll still enjoy listening to Pirate Cat’s many live studio performances while sipping on their charmingly creative coffee drinks. 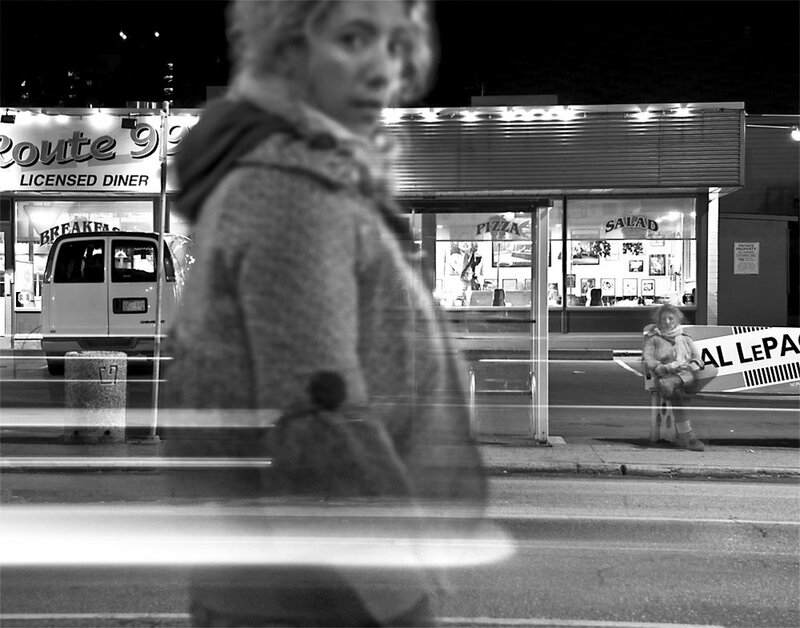 Nico Crisafulli is a photographer and blogger living in the Mission district of San Francisco. His blog is coming around. 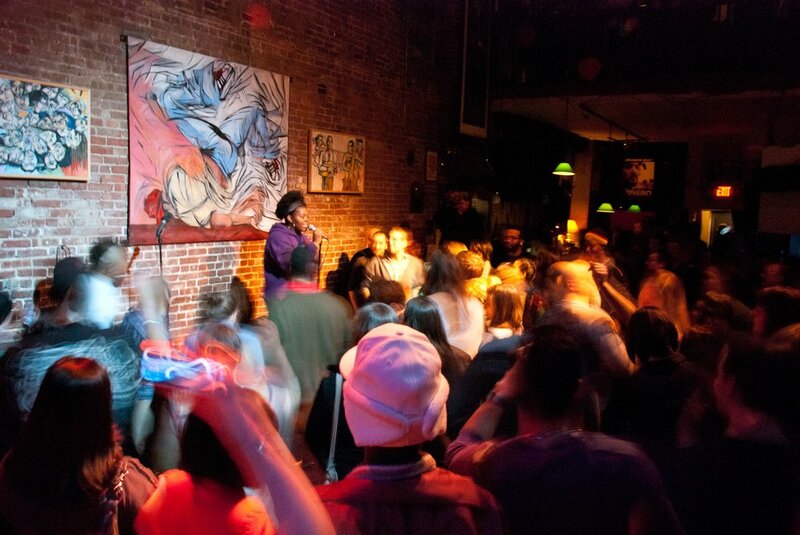 Friday Night Poetry Slam at the Nuyorican Poets Cafe in Manhattan’s Lower East Side is one of the most unique experiences you can have while in New York City. This isn’t your grandmother’s poetry — an assortment of slammers throw down their best poems while five audience members judge their performances, paring down the field until a victor emerges for the night. Subject matter ranges from hilarious dating mishaps to gut-wrenching domestic violence. Never a dull Friday night at the Nuyorican. I’m a freelance photographer living in Astoria, New York. A personal love for travel takes me to interesting places, but New York is my daily portal to the fascinating. Named after one of the alleged JFK snipers, Dallas-area watering hole Lee Harvey’s lives up to its subversive moniker. I live 200 yards down the street, appropriately enough, in Jack Ruby’s old building, and can walk there at any time and feel welcome. Part lake house and part junkyard, the converted old home is full of cheap wood paneling, ripped vinyl seats, and antique beer signs. I have bellied up to the bar with characters of every shade: other local artists, oil rough necks fresh off the job, bankers in suits, the women’s roller derby team, and someone’s grandparents. The patrons know my pursuits, my projects — and even know I am writing this story. It is the only bar in the world where they know my name. And though the gravel from the outdoor beer garden may occasionally get stuck in my shoes, the smoke from the fire pits may burn my eyes, or the toilet may be overflowed in the bathroom, there is a friendly communal atmosphere here that makes me proud to be a part of the neighborhood, and proud to call it my backyard bar. Tyler Sharp is a photographer, writer, and videographer who lives in Dallas, Texas. He loves books, films, Kung Fu, and his girlfriend AK. 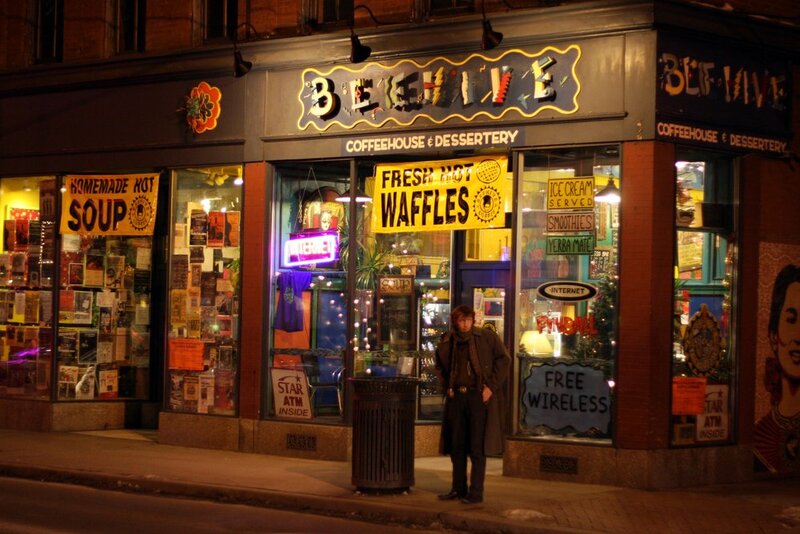 I spent twenty years at the Beehive: playing Galaga in the back room in high school, competing in Spades tournaments with my future wife in college, or poring over textbooks in graduate school. I’ve since moved my family across the country, but when visiting I’m still drawn to this eclectic coffeehouse on the southside of Pittsburgh. Devon Christopher Adams is an educator in Arizona who’s become more and more obsessed with photography. It only takes twenty steps from the platform of the 2/3 train to remind me that I am home. When I approach the corner of 111th and Lenox in Harlem, the air is thick with the welcoming and intense smell of cooking oil. 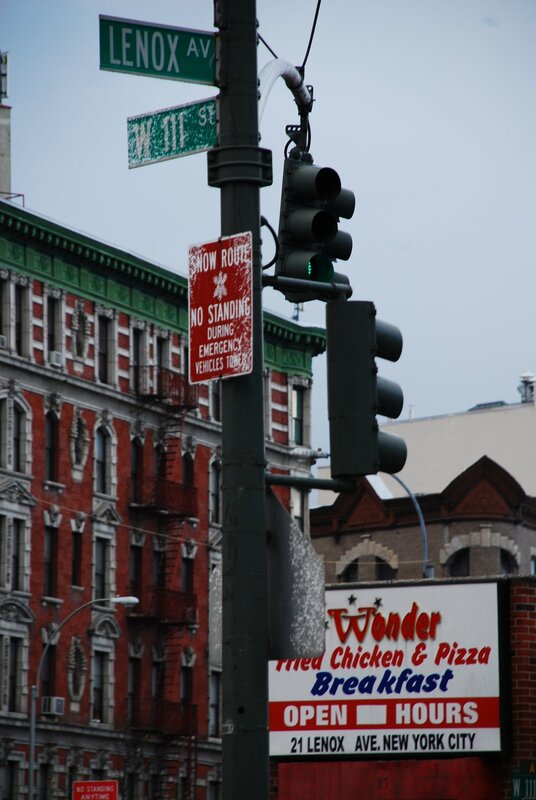 The sidewalk is sprinkled with the crunchy remains of a leg or a wing, and the boys are smiling and winking with their bags of steaming hot Kennedy Fried Chicken. Home is where the Kennedy Fried Lights are flashing! Depending on when you ask me and what state of mind you find me in, I could be a Consumer and Category Insights Manager in Oxfordshire, or I could be whatever my dreams tell me to be, which is anyone’s guess! 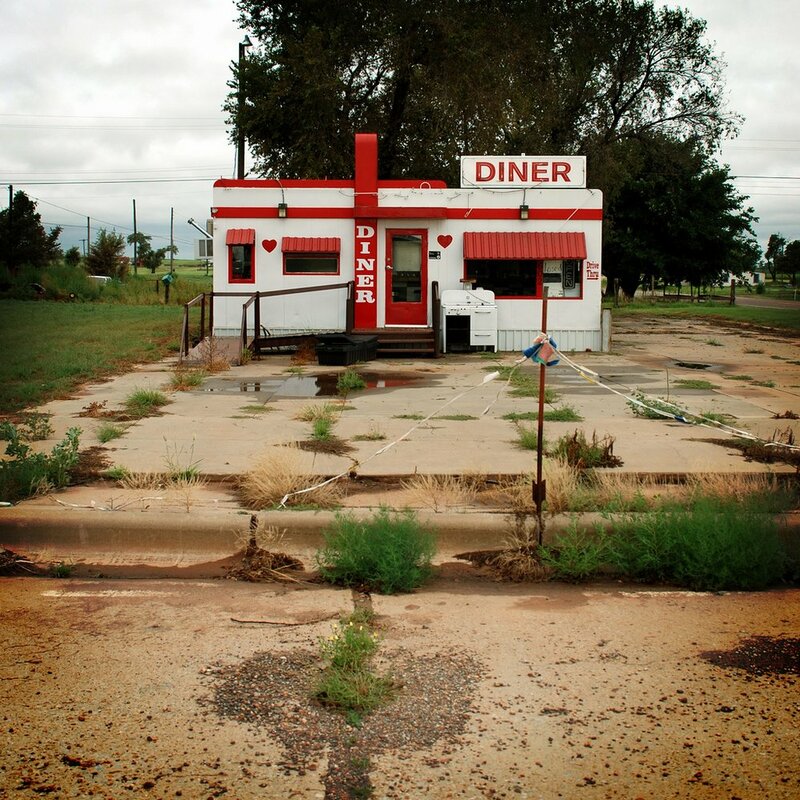 This greasy spoon is the hub of our neighborhood in Edmonton, Canada, the epicenter of our little life. A perfect pint is just three blocks down, vegan banana bread across the street, a weekly fiddlers’ jam session in the basement. A grocery store, Italian restaurant, bakery, and wine bar sit adjacent. When I moved here I knew immediately the gem I had found. Some day when I move away from here for a newer, shinier space, I will remember the greasy spoon that held the center of my universe together. I am a designer and photographer in Edmonton, Alberta, Canada. I also run a daily photo blog called Wishful Thinking. 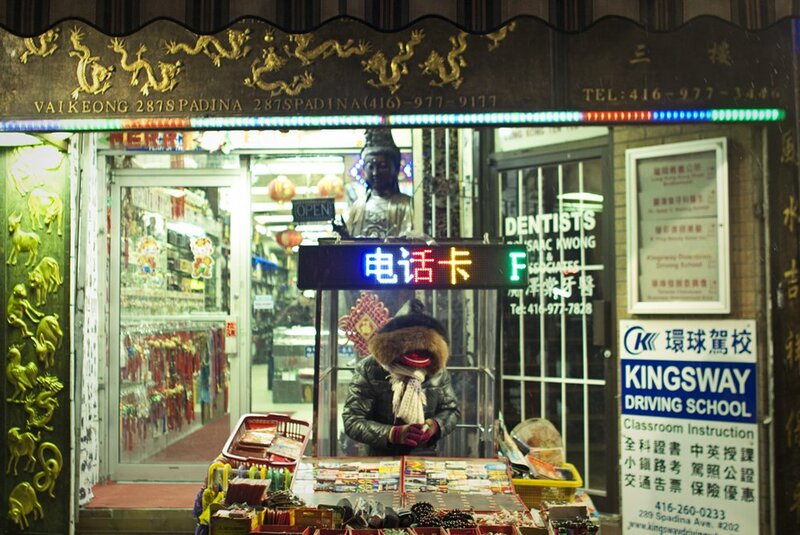 I’ve always been drawn in by the light of the Chinese shops in my neighborhood in Toronto, but felt like too much of an outsider to really explore. My girlfriend, who speaks Mandarin, recently broke the ice with her mother tongue and provided a new perspective on these cool community spaces. During a warm, sunny weekend in Chicago, a five minute bike ride can transport you to another world. You can explore in any number of directions, but the Far North Devon Avenue neighborhoods offer the most drastic transition. 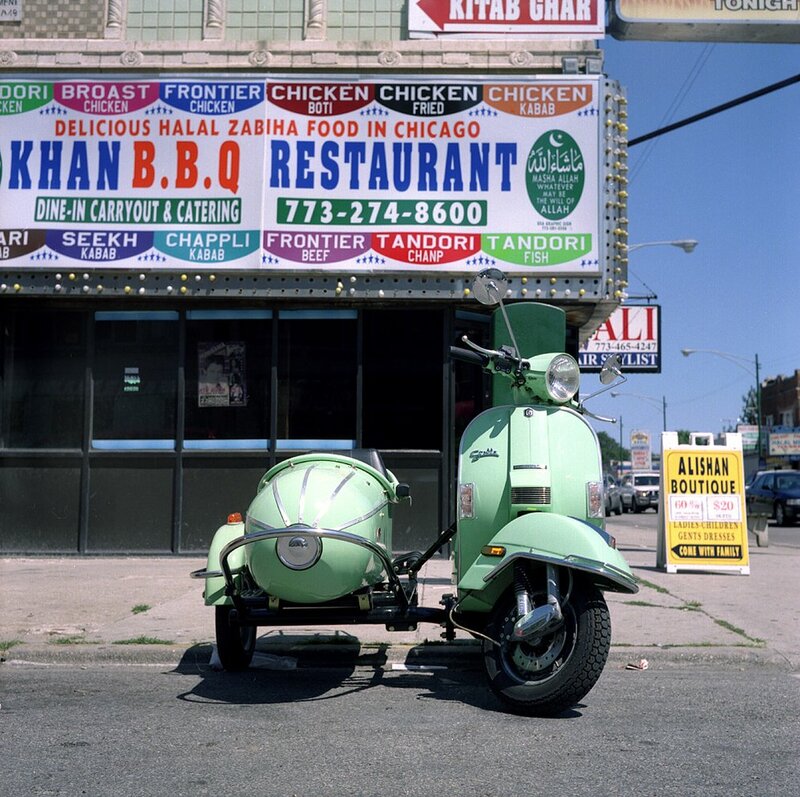 Home to the city’s largest Indian and Pakistani communities, these two blocks are filled with authentic food, packed grocery stores, international phone card shops, and nameless storefronts filled with cheap antiqued electronics and massive rug stockpiles. If you let your nose lead the way, you will inevitably end up at this sign announcing the glory that is KhanBBQ and their chicken boti. One half of Letterform, a graphic design studio in the Far North area of Chicago with a ferocious appetite. It’s easy to forget that the entire city of Tokyo isn’t just neon lights shining onto giant skyscrapers waiting for Godzilla to come and knock them down. Living here, I’ve discovered that there are gems of ordinary life — like this cigarette, battery, and lightbulb store — only a twenty-minute walk from downtown. I live in Tokyo. I write, blog, and take photographs, and in my spare time I teach English to make money. 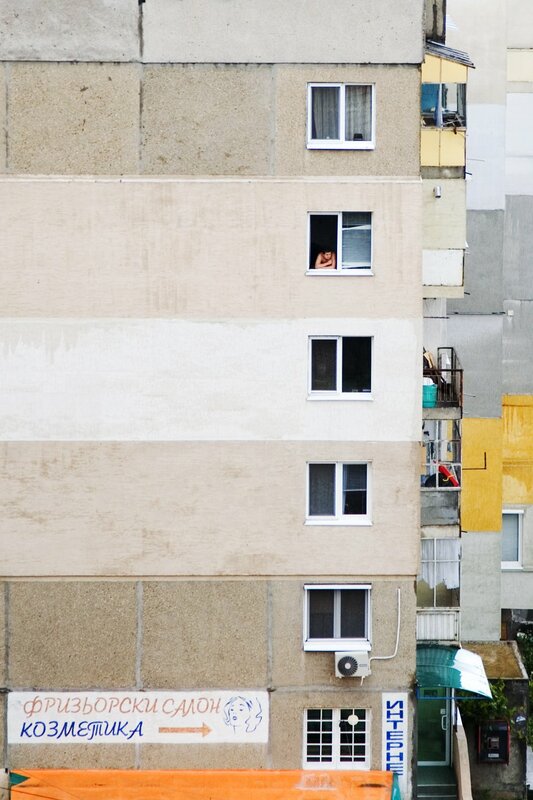 Most neighborhoods in Sofia, Bulgaria, are still sprinkled with socialist apartment buildings, called Panelki. They all started out looking the same — cold and ugly — but over the years they’ve been selectively and partially repainted, repaired, and insulated. Now they’re a unique patchwork of different colors and textures. My name is Teddy Zareva, I am currently living in Sofia, Bulgaria, and am trying to find my way through the world of visual storytelling. When I first moved to Los Angeles, I found a good deal on a live/work space in the Latino area of Boyle Heights. I later came to realize I was living in one of the oldest and most diverse neighborhoods in the city, right by famous Mariachi Square (a great place to find a musician for a party). 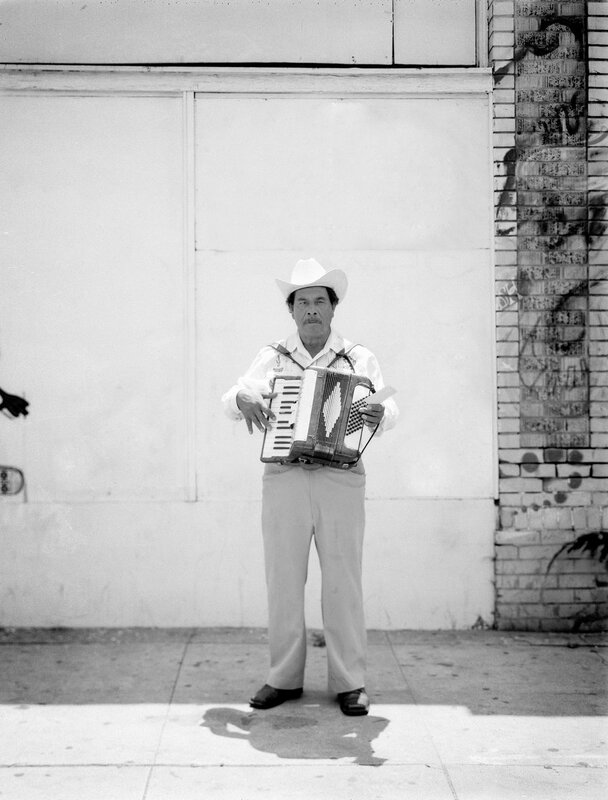 This accordion player is just one of many who make this neighborhood’s culture what it is. Dan Busta’s sport documentary work has brought him around the globe to countries such as Germany, Slovenia, Croatia, Peru, and Serbia. In contrast to his past works, Busta recently has been concentrating on photographing human emotions. Busta works out of his Los Angeles studio, The Forge. La Boite is one of my favorite places in South Austin. 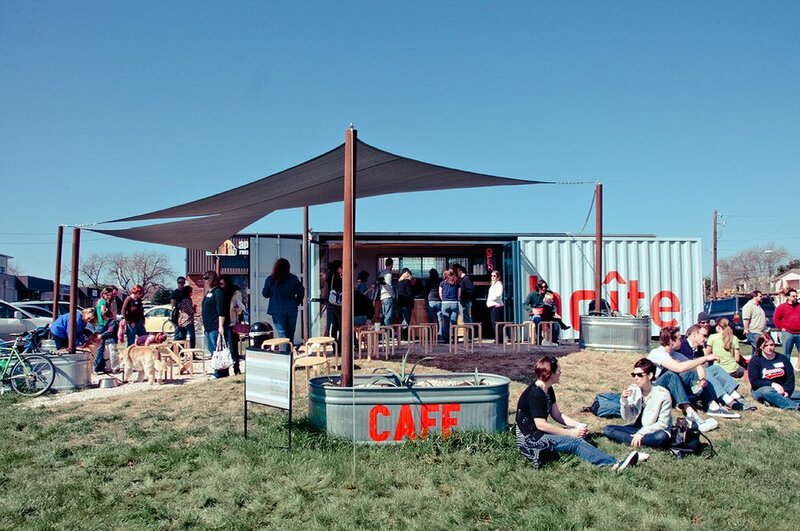 It’s a cafe built into a shipping container that’s been plopped on a patch of grass. It’s fabulous. They serve French pastries (macarons and croissants) and French press coffee, and on sunny warm days, they open up the front of the cafe so it becomes one with the outdoors — perfect for Austin. I’m a photographer living in Austin, Texas. I shoot photographs to capture memories I can’t hold in my mind. I want to travel everywhere and live everywhere. Dickson Street in Fayetteville, Arkansas, is best known as bar row; a downhill walk from the state university where you can almost always find live music or dollar drafts. But squeezed between the bars and restaurants is the Dickson Street Bookshop, the best used bookstore in the South. 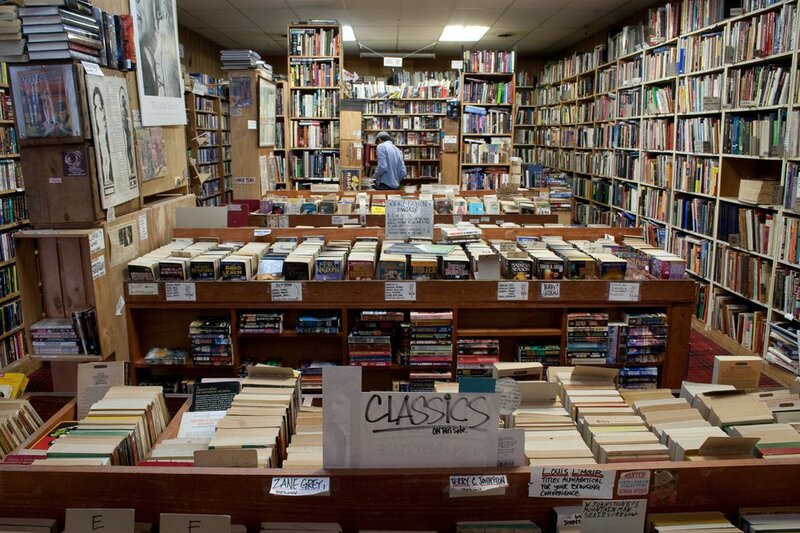 Since it opened more than 30 years ago, little has changed inside the store save for the books. Sales receipts are transcribed by hand and inventory is recorded on the shelves rather than on a computer. It’s open until 9 p.m. on the weekends, so when your friends call it an early night, you can walk your buzz off between the shelves. God knows I have. Johnathon Williams is a writer and web developer living in Fayetteville, Arkansas. I am a paramedic by trade, and a student of photography anytime I can point and shoot. I live in northeast Oklahoma and love walking the countryside. As a city, London is very difficult to get to know — people move quickly and communities often merge together. 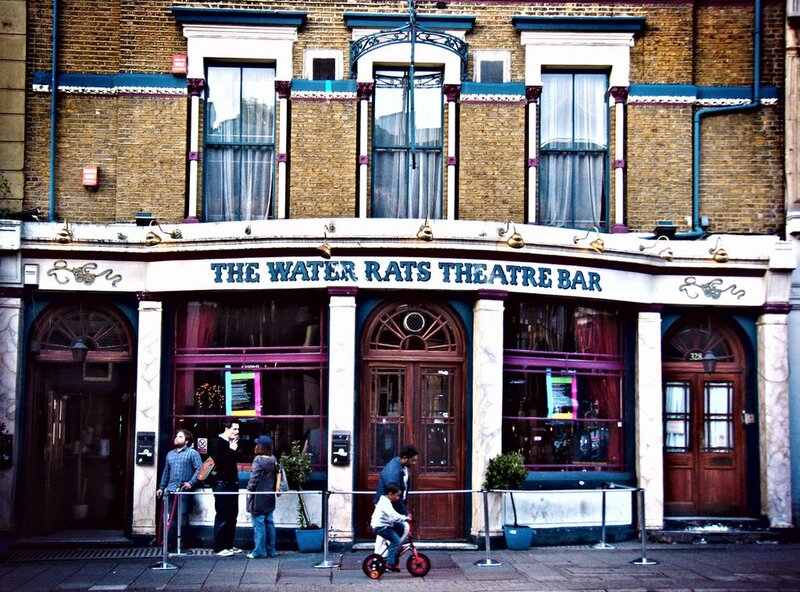 One of the binding forces of each neighborhood is the local pub. There are thousands of these ‘locals’ throughout London, and as similar as they might feel to the casual observer, each one has a unique identity to the lives of those who pass through it. One in five homes is empty here. 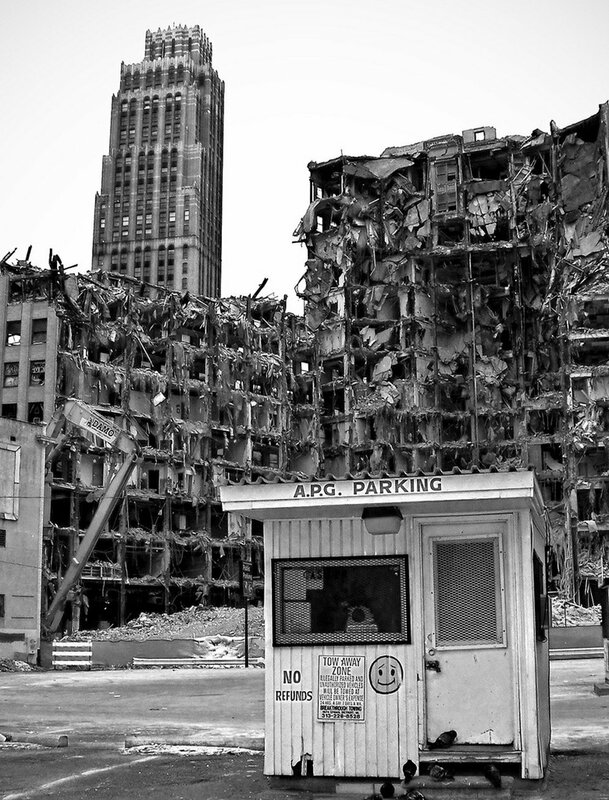 Some streets are crumbling, some skyscrapers abandoned, and some architecture haunted. All of which made it surprising to discover this happy face painted on a withering parking booth. Rock on, Detroit. 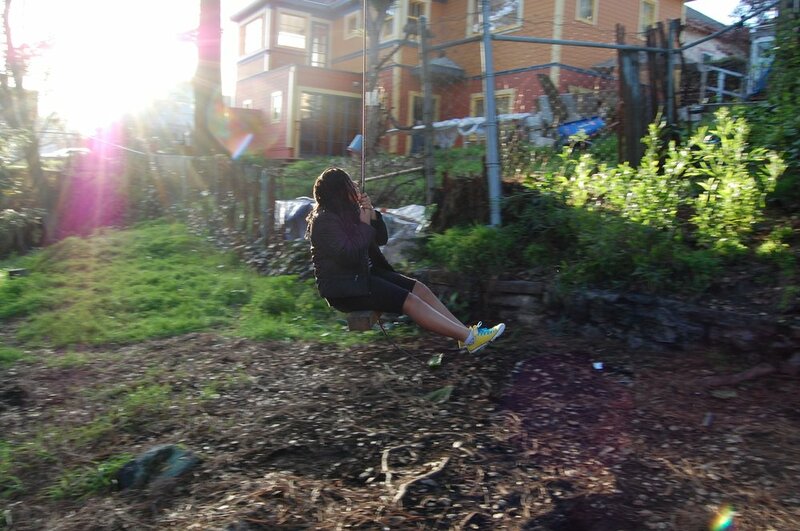 Aisa is a law student living, breathing, (re)building the D.
People tend to talk about staggering gun violence and widespread poverty when talking about Baltimore, but I think the city gets a bad rap. There are a thousand hidden treasures amongst the crumbling formstone facades and industrial skeletons. This small, nondescript dock is our neighborhood’s treasure. Jutting out from the cobblestone streets of southeast Baltimore’s Fells Point neighborhood, the Bond Street Landing is a quiet escape from the crowds and bars just a few blocks north. 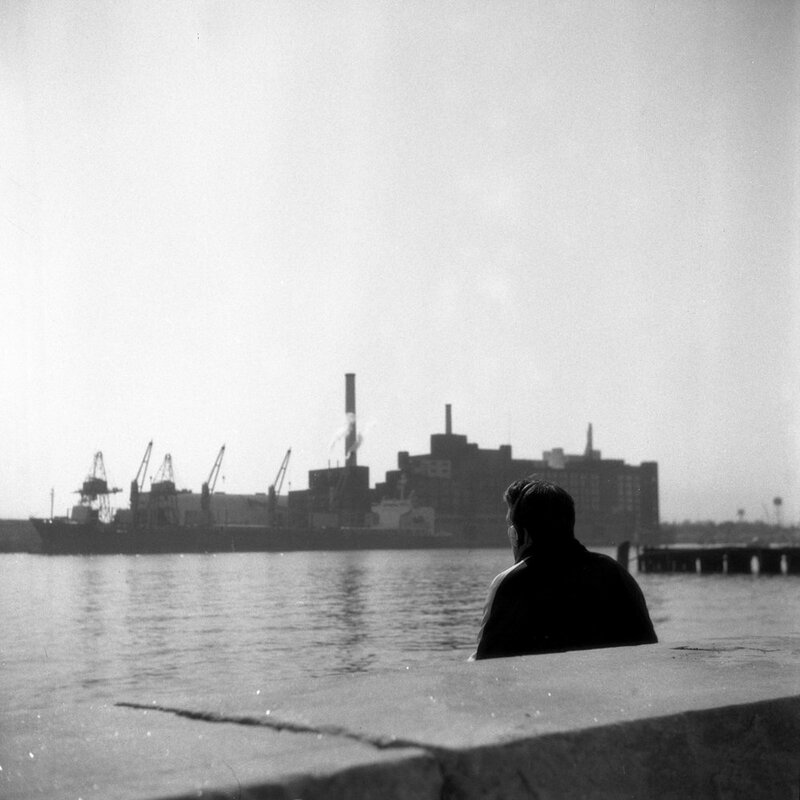 There are usually a few people here, often couples, sitting together and watching boats drift by in the water, looking out at the sugar factories and ancient warehouses that defined this city by the bay a century before the drugs and the guns. This two-square-mile patch of grass helps keep a large part of South London sane. Space is at such a premium here that I feel incredibly lucky to live close to Clapham Common. Being able to step out the front door and run a couple of laps keeps me from getting grumpy or impatient. 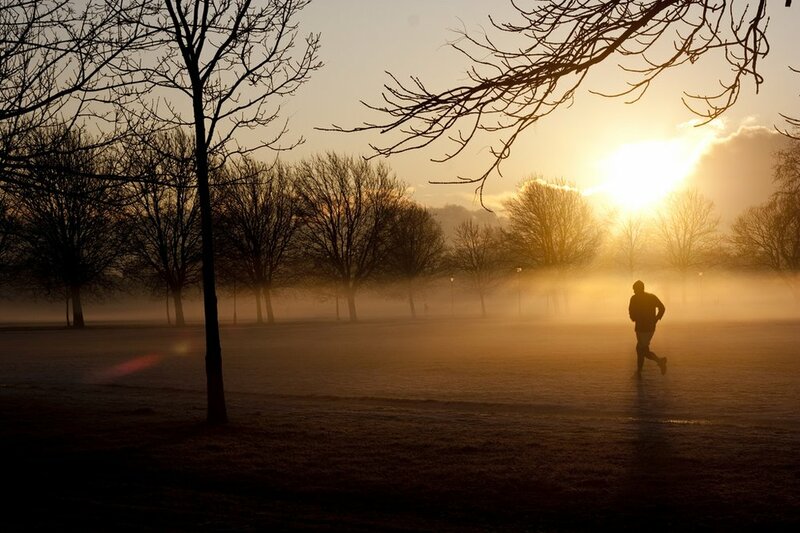 No matter what time of day or week, there are always other joggers, cyclists, frisbee or rugby players, footballers, dogs, and families getting their dose of fresh air and exercise. I live in South London, England. Maybe it’s just that I was raised in what some people might call “the middle of nowhere,” but I think the best feature of a neighborhood is the spot where it ceases to exist. Case in point: this beach near my house, where the grassy lawns give way to cliffs and the sandy shores below. You won’t find anything to buy there, and the people-watching opportunities are minimal. But what it lacks in signs of humanity, it makes up for in serenity, ample space to stretch sleepy legs, and an endless supply of shark teeth washing up out of the Chesapeake Bay. 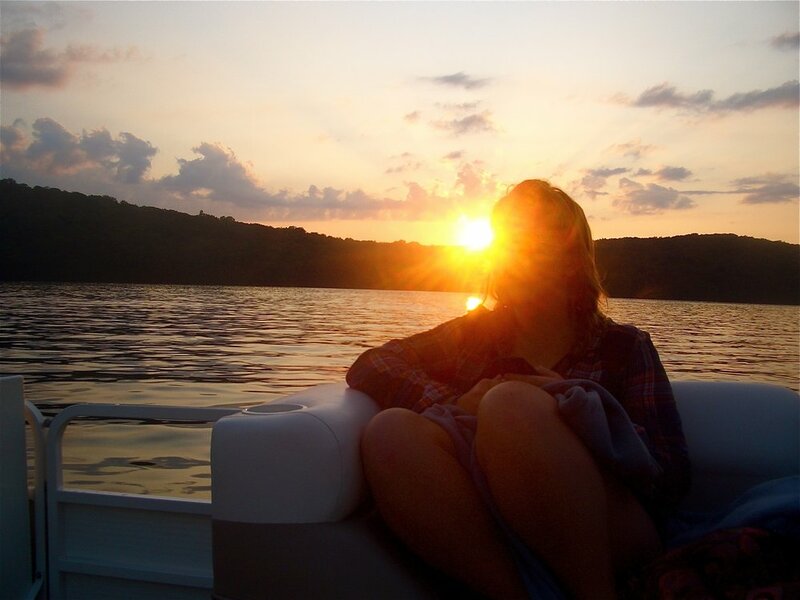 Raised on the sunny shores of the Chesapeake outside Washington, D.C., I’m a recently graduated mechanical engineer who’s not exactly sure what to do next. Every now and then I break out the old camera, and this is the kind of stuff that happens. I grew up on the Outer Banks of North Carolina, and within the past few years my parents relocated to the smallest of the islands, Ocracoke. I’ve since moved back in with them and have found myself in a village that is barely a mile wide, accessible only by ferry, and all but uninhabited in the winter months. It’s almost like I’ve time traveled — everything closes down by 9 pm and the community grocery store keeps an automatic cappuccino machine not far from the pot belly stove and cooler full of glass-bottle Coca Cola and Sun Drop. 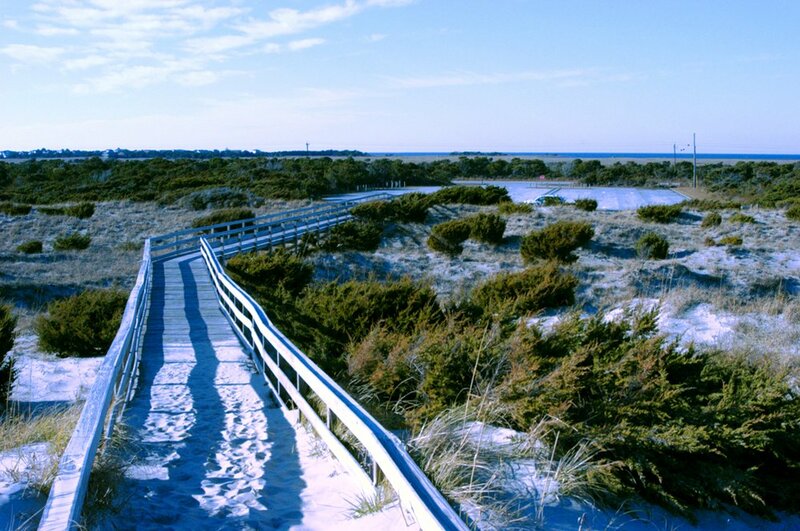 The most amazing part of island life by far is climbing the dunes that separate the village from the beaches and seeing the vast expanse of sand that’s held in place by the active waters of the Atlantic Ocean. A 22-year-old photographer and web designer with too many hobbies to count, currently living part-time on Ocracoke Island and part-time in the city of Greenville, both in North Carolina. This beautiful barn is an artifact that interrupts my busy days, reminding me what our portion of north central Delaware once was. Sadly, as its graceful decay continues, it will eventually be bulldozed and replaced with more Toll Brothers’ houses. 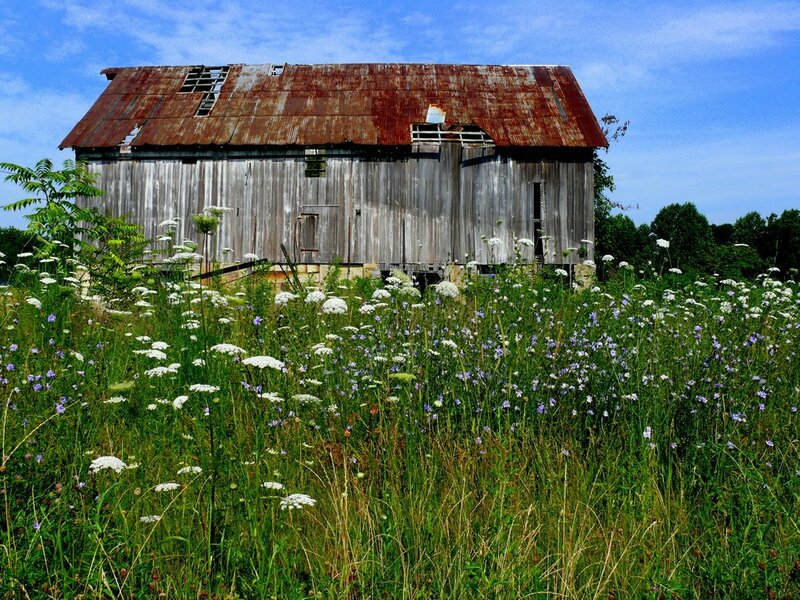 This past summer, I moved in with my fiancée (now wife), whose house stands on the farmland once attached to this barn. In August, I saw corn stalks sprout in our backyard. Every time I see this barn I feel like a co-conspirator in the decline of rural America. 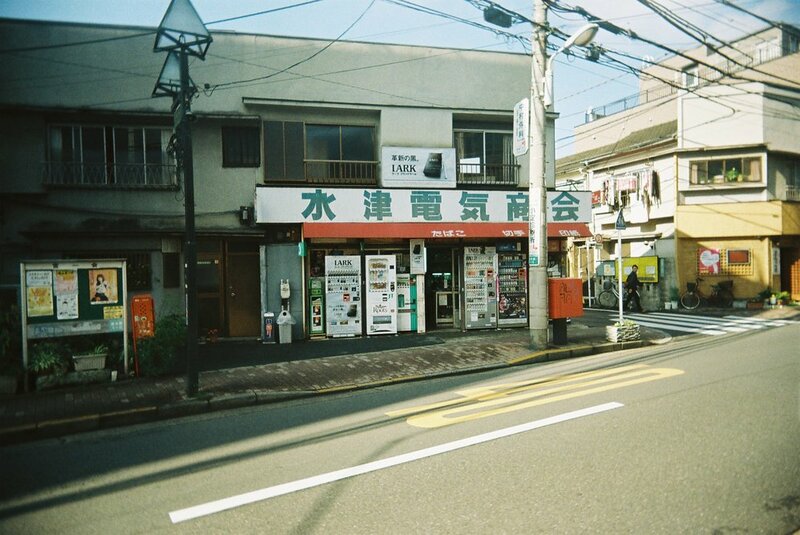 I photograph it to record what will someday be gone. I’m an assistant professor of Writing Arts at Rowan University, where I teach classes on the intersections of writing and new communication technologies. I live in Bear, Delaware. I grew up in the small town of Mahopac, New York, with not much going on, and often needed an escape from everyday life. The lake in the middle of our town was the perfect retreat. Boats, jet-skis, and swimmers filled the water during the day, but in late afternoon, the beauty began. 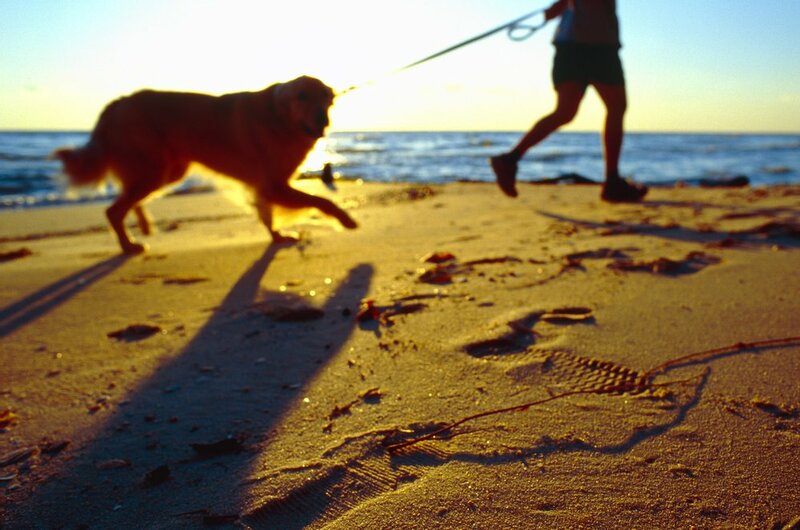 Soft breezes, calm currents, gentle rocking, and warm sun combined for utter bliss. I am a student attending Kutztown University in Pennsylvania, studying communication design. You’re looking at what might be the oldest living organism east of the Mississippi River: 1400 years old, 65 feet tall, and shading a 17000 square foot area. 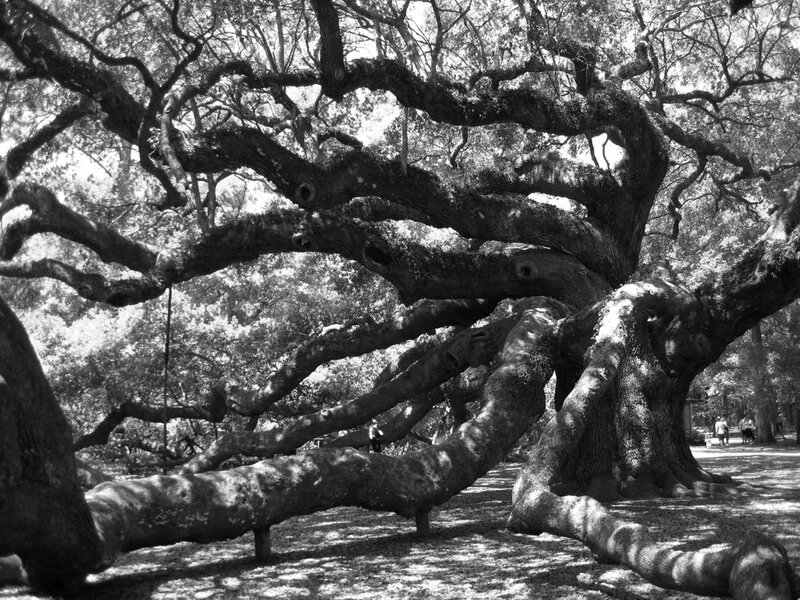 Charleston, South Carolina, is often called the “Jewel of the South,” and if that’s true, then the Angel Oak Tree has to be its brightest sparkle. Student living in Atlanta, Georgia. I fell in love in the darkroom. A short walk from my house in Oakland, California, there is a little river and a small park. Across the river there is a rope swing with a wood seat that hangs from a tall oak tree. (Not many people know about it even though it’s near popular Piedmont Avenue.) My friends and I go there when we need to talk, laugh, or just think, and to us it’s much more than a piece of wood. It holds our secrets and stories, and will always have a special place in my heart. I’m a student in the bay area and an aspiring photographer. 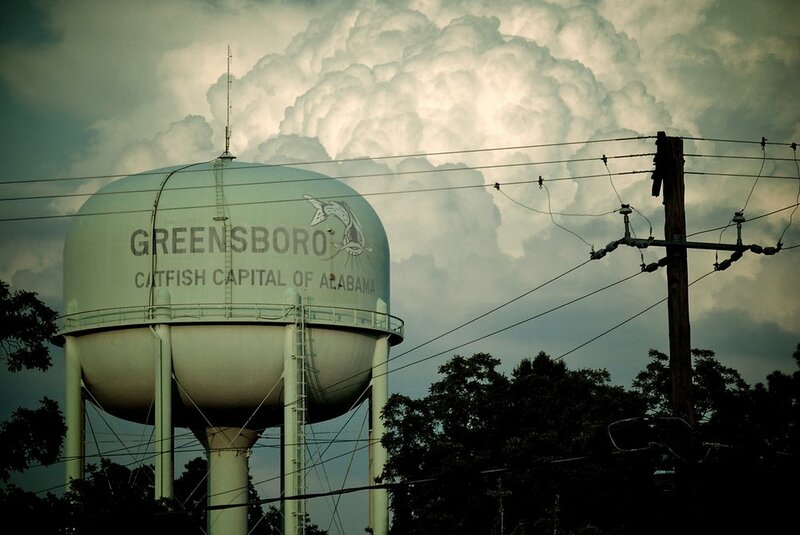 Last spring I moved from Brooklyn, New York, to the small rural town of Greensboro, Alabama — the catfish capital of the state — to open a pie shop and design studio with friends. While the light of the setting sun across historic storefronts always charms me, my favorite thing about the South is the dramatic cloud cover during summer storms. This water tower looms over the skyline at the end of Main Street and reminds me each morning that I’m home. Brian W. Jones is a designer, photographer, writer, and social entrepreneur currently living and working in Greensboro, Alabama.